In a state rich with heritage and history, the magnolia blossom is an ideal symbol of showy beauty and vitality. With large flowers in shades of white or pink, the magnolia tree is a testament to the strength and showmanship of a state such as Louisiana. Magnolia trees are just as common as any other evergreen in Louisiana, but it is not numbers alone that have made the magnolia tree and its blossoms the state flower of Louisiana. State flowers should reflect the culture of the state as well as making a statement about the area as well. The magnolia blossom does this beautifully. 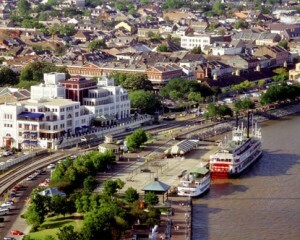 Long known as a state full of fun and adventure, Louisiana has had its share of trouble battling natural elements. Magnolias have withstood far more than a hurricane or two, even with tremendous flooding. 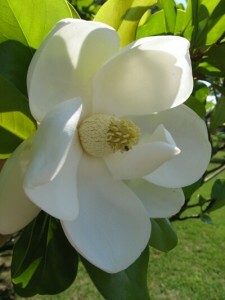 Magnolias are one of the oldest trees in the world, and many experts believe they date back as far as 95 million years. The stately trees have a strength the citizens of Louisiana certainly channel in their efforts to rebuild their fair towns. Magnolia trees are also often evergreen although there are some varieties that are not. With broad green leaves throughout every season, the bough of the magnolia tree has decorated many tables and counters during holidays and special events of all seasons. It is the blossom of the magnolia tree that is truly stunning. Set against the backdrop of the dark green, glossy leaves, the magnolia blossom can grow as large as twelve inches across. A magnolia tree blooming in a Louisiana front yard is a common sight, but a beautiful one just the same. It’s hard to replicate the fruitful nature of the magnolia tree outside of the humid south, but you can enjoy magnolia blossoms anywhere thanks to floral delivery of these specialty arrangements. To produce your own magnolia blossoms, you’ll need to grow magnolia trees. Growing magnolias is simple if you have the right type of soil. Magnolia trees prefer moist, acidic soil and can be planted at any time during the year. Seedlings can take up to ten years to flower, however, so magnolia trees are most definitely considered a long-term investment. This entry was posted on Wednesday, August 5th, 2009 at 9:52 pm	and is filed under American Flowers. You can follow any responses to this entry through the RSS 2.0 feed.